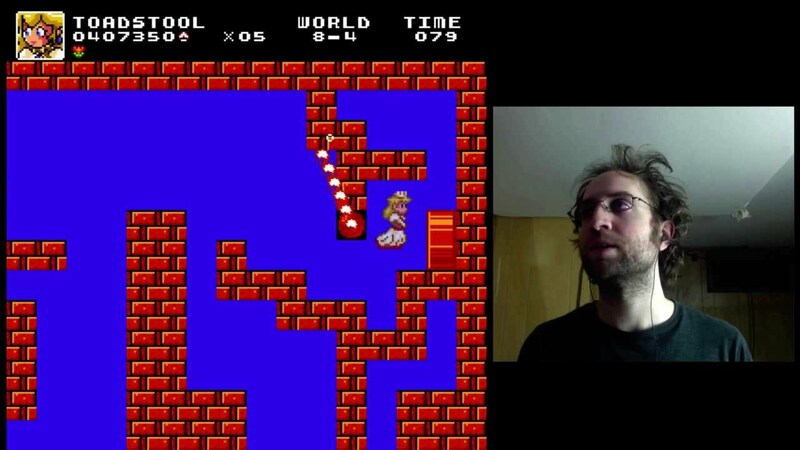 Jay Pavlina plays through The Lost Levels in Super Mario Bros. Crossover 3.1. I decided to record a play through while I was testing The Lost Levels in Super Mario Bros. Crossover 3.1.
super Mario bros 2 fact: ” that everyone knows ” did you know that super Mario brothers 2 was a Famicom disk system game ” ya’no the Japaneese nes console thingy ” the Japaneese game was called Doki Doki panic or otherwise dream heart pounding panic ” witch was a long name for a Famicom game but glad everyone know the Japaneese name not the tremondous american one ” doki doki panic was a game that was based on the second mario bros game or otherwise called SMB2 USA ” the japaneese name of the fake Mario brothers 2,this only appears in the japaneese super Mario all stars and Famicom disk system version of Mario bros 2 ” the other thing you should know that all the Doki Doki panic sprites were from a 80’s ”japan only” festival later as know as the Doki Doki panic festival in 1987,1988,1989 and instead of making another doki doki panic game instead Shigeru Miyamoto ” creator of both Mario,Zelda,and donkey Kong series ” made a fake sequel to ”super Mario bros aka super brothers 8 bit” in 1988 the same Doki Doki panic game was changed with Mario cameos in it. but the enemies were not changed and those enemies were later known in modern Mario games such shy guys,wart and many more. But what you may not know about super Mario brothers 2 was that before we got SMB2 or super Mario brothers 2 USA japan got the true sequel of super Mario bros or brothers was released as a Japan only game of super mario bros why as you may ask on horrible thing it was too hard for western adouinces or western adouinces so america got the fake SMB2 while the japan got the true SMB2 . You can’t put a game like this on a console like the ps4 or ps3. The mario franchise hasnt YET put a game on those consoles, and plus, Jay needs permission from Capcom and HAL labratory and so on. if he asks permission, you’ll never know. It would be very VERY hard to add every single character from the NES. There’s just so many, and plus, some of them aren’t even platformer games. do you add metroid map skin on next update ? Hey jay pavlina After all these have in S.M.B.C. You will mario portal with console SMB+PORTAL you have in S.M.B.C. after all these characters you have in S.M.B.C. but why don’t you add sonic? I mean hes not nintendo but it would be nice. Brian’s right. The people here at ExplodingRabbit dont seem to be a big Sega fan, but who knows… maybe they’ll add sonic (Or anyone else from sega) Into smbc in the future.